Ori Gallery is the brain child of the creative duo Maya Vivas & Leila Haile. 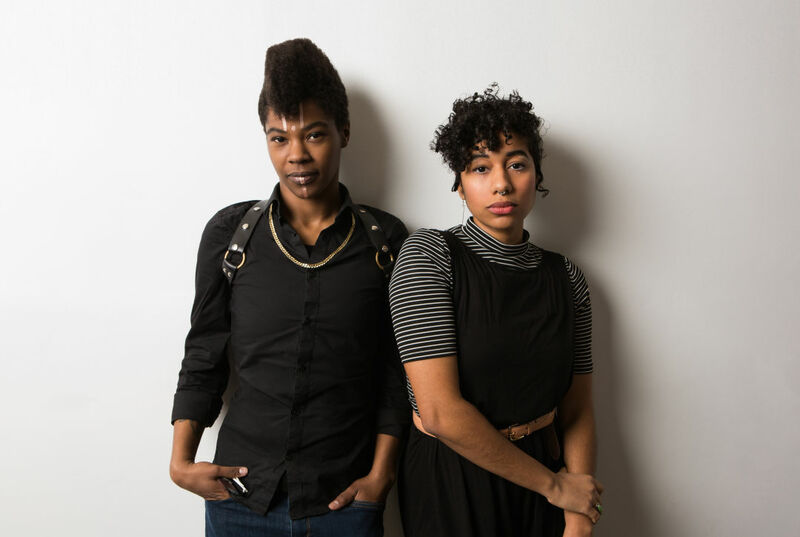 Together they seek to reclaim and redefine "the white cube" through amplifying the voices of Trans and Queer Artists of color, community organizing and mobilization through the arts. In addition to our rotating exhibitions; we also offer classes and workshops to the community for free or low-cost such as PoC figure drawing, Grant Writing for the People, Arts for Direct Action and meet-ups for Queer and Trans creatives of color. Ori is a Yoruba word literally meaning "head," and refers to one's spiritual intuition and destiny. Ori also refers to the meditative facial decorative practice associated with Yoruba tradition that is practiced by the co-directors (Maya & Leila) and is the impetus for the name of the gallery. It is the spark of human consciousness embedded into human essence, and therefore is often personified as an Orisha (Yoruba deities) in its own right. It is believed that human beings are able to heal themselves both spiritually and physically by working with the Orishas to achieve a balanced character, or iwa-pele. When one has a balanced character, one obtains an alignment with one's Ori or divine self. The physical practice of Ori is meant to focus and manifest Asé: which is to conceive the power to make things happen and produce change. It is considered a creative, artistic energy and speaks to the deeply ingrained African reverence for creativity and the arts. When we practice Ori we are reminding ourselves of the sacred nature of our work, it's connection to the liberation of our people and the dismantling of oppressive systems utilizing our creative energy. We recognize the African Queer and Gender Non-Conforming activists that came before us and the ways they have contributed to collective liberation and the inherent decolonization found in connecting ancestry to activism. Leila Haile (left) is a tattooer & community organizer. They work out of a private studio serving Queer and Trans People of Color as well as folks living with disabilities and organize with a coalition of groups around Portland and Nationally. Maya Vivas (right) is a ceramic artist. Maya's work captures textures from flora, mineral and the human body, re-translating these motifs into newly invented forms that are alive, sensual and dynamic. Through these textures, they explore concepts of race, identity and gender as filtered through their own experience as a queer person of color. Through push, pull & mark making within clay, they sculpt with shadow and light as an exploration of the senses, creating folds, complexity and narrative. Maya believes that the beautiful, carnal and heartbreaking nature of clay, is a direct reflection of the human experience. Their ceramic sculptures have been featured in an array of local Portland galleries, including venues in association with NCECA (The National Council on Education for the Ceramic Arts). First to know about openings & media releases via e-mail. 2 passes to any Workshop every year. Fund our physical space. This includes rent, gallery maintenance supplies (paint, spackle, nails, cleaning supplies etc) & office supplies.